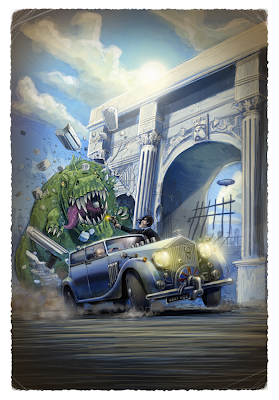 Rumour has been rife on the Internet of late, after I published a series of 'Coming Soon' posts on the Pax Britannia blog, but today I can finally put those rumours to rest. 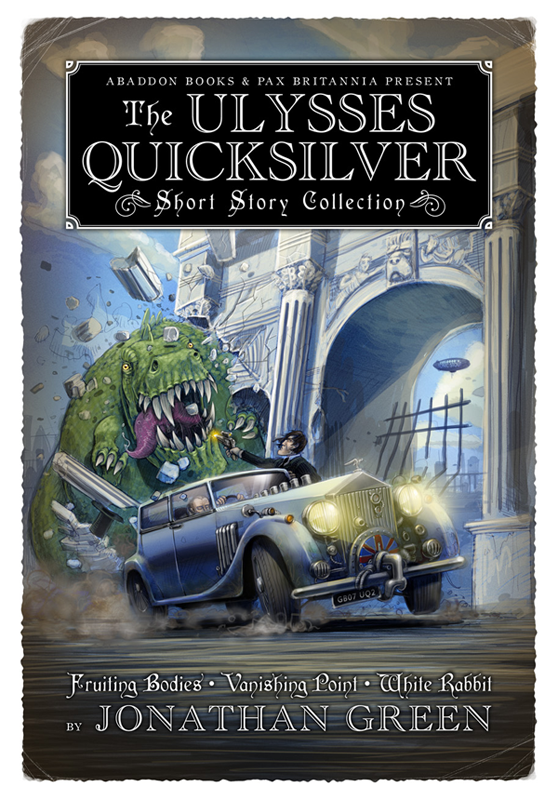 Coming soon from Abaddon Books is The Ulysses Quicksilver Short Story Collection, featuring a brand new cover by Simon Parr and re-printing three of the finest Ulysses Quicksilver novellas that first appeared in the back of various other books. First up is the hard-to-find Fruiting Bodies, that originally appeared in Al Ewing's El Sombra. Then there's Vanishing Point, which first appeared in Leviathan Rising and which long time readers of the series will know has been at the centre of the Dark Side/Anno Frankenstein double-header. And then there's White Rabbit, which my editor believes is the best Ulysses short to date (and which was originally published with Blood Royal). If you've not read the stories before The Ulysses Quicksilver Short Story Collection is worth downloading to your eBook reader of choice, as the stories contained within add a whole other layer to the world of Pax Britannia.